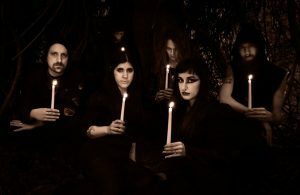 Isenordal are a pretty new pagan black/doom metal band out of Seattle with a heavy neofolk influence. They exploded onto the scene last year with their stellar debut, Shores of Mourning, which was a beautiful and complex journey through various sonic realms. Looking to capitalize on the recognition the debut netted them, Isenordal have come out with a follow-up just over 14 months later. So how will Spectral Embrace hold up against the stellar debut? In an unexpected surprise, Isenordal chose to go full neofolk on this album. There are no real riffs to speak of on this album since it is entirely neofolk. The acoustic work on here is brilliant though. The careful plucking at the beginning of “Inevitable Product of the Foretold” creates a very ethereal atmosphere and the strumming thereafter continues that sense of atmosphere. The repeating, pounding rhythm in “Despondent Longing and Phantasmal Communion” is also extremely effective as it gets in your head over time. There is even a great rapid strum pattern in “Dissolution into the Earth” that really suits the band’s sound along with the percussion. The vocals on here are really interesting due to the extreme variation in the approach. 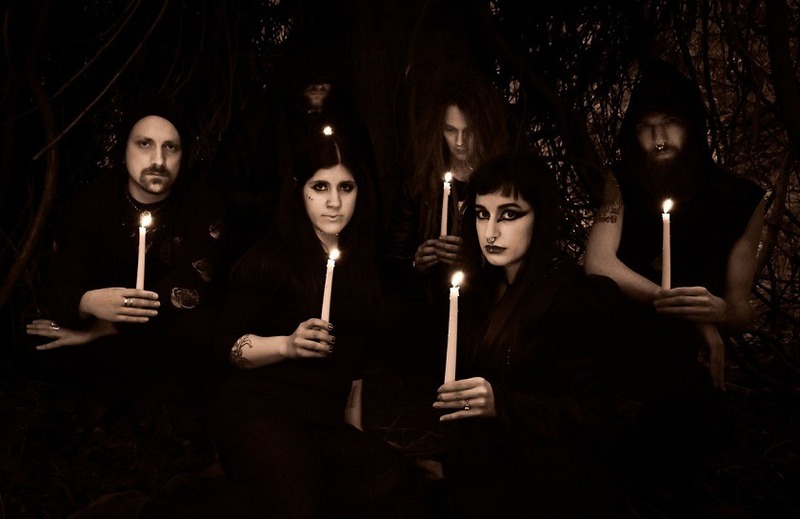 There are essentially three vocal styles on this album, male clean vocals, high-pitched and somewhat distant black metal screams, and clean female vocals. Although they sound pretty much how you would expect them to, the variation between the three styles makes this album that much more dynamic. The soft cleans that open the album really set the tone for what is to come as they help build a gorgeous atmosphere along with the cello and viola. The harmony between Kerry and Marisa on “Inevitable Product of the Foretold” is extremely refreshing, along with her wonderful viola. Harmony has become something of a lost art in music these days but it is nice to know it has not completely gone away. Drums are always a point of interest with neofolk since the goal is usually to be fully acoustic. There are a few different ways to accomplish that goal so it is always interesting to see which way bands choose to go. In this case, Isenordal have chosen the mallet-based war drum route along with some kind of odd artificial beats. The artificial beats do not sound particularly good but the soft war drums really help build the intensity of the songs over time. Listen to the drum pattern starting around the 4:10 mark of “Despondent Longing and Phantasmal Communion” for an example of the war drums building intensity. Having the cello in the background really adds depth to the mix and helps the percussion stand out more. The keyboards are also excellent at building atmosphere. They are neither grand nor sweeping but the slow tempo and darker tone really adds to the mix and the overall enjoyment of the album. While this album is certainly not what fans would have expected after Shores of Mourning, it is a very solid slab of neofolk with absolutely breathtaking strings and a complex yet gorgeous atmosphere. If you are a fan of albums like Kveldssanger and Ashes Against the Grain, this album will be right up your alley. If you prefer albums like Bergtatt and Marrow of the Spirit, you probably will not enjoy this as much. That said, props to Isenordal for being bold and fully committing to the neofolk sound because they do it quite well. Hopefully they will return to the sound from Shores of Mourning for future albums though because the complexity of it makes Isenordal far more compelling than the straight neofolk sound of this album. 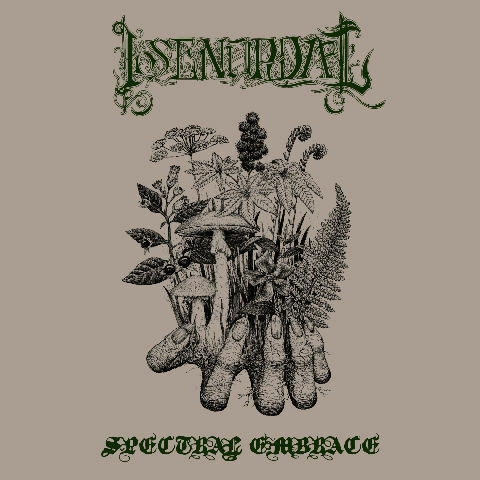 This entry was posted in Neofolk, Reviews and tagged 2018, Eternal Warfare Records, Isenordal, neofolk, seattle, Spectral Embrace, usa.